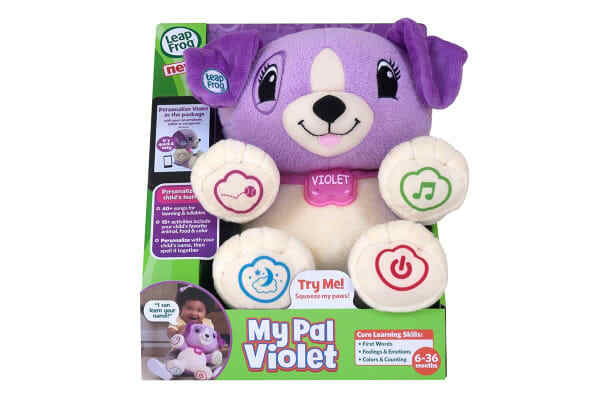 A cuddly customisable puppy pal! Teach him your child’s favourite things so they can laugh and learn together! My Pal Scout introduces a variety of early learning concepts from numbers to routines and music. As a loyal learning buddy, Scout prompts kids to interact with him socially and encourages them to talk and sing along to build early language skills. 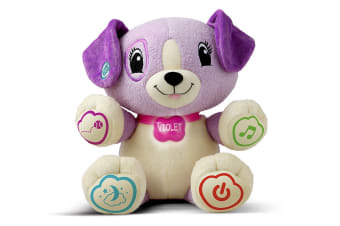 *Internet connection required to personalise Scout/Violet with your child’s name and favourite items or to change songs.